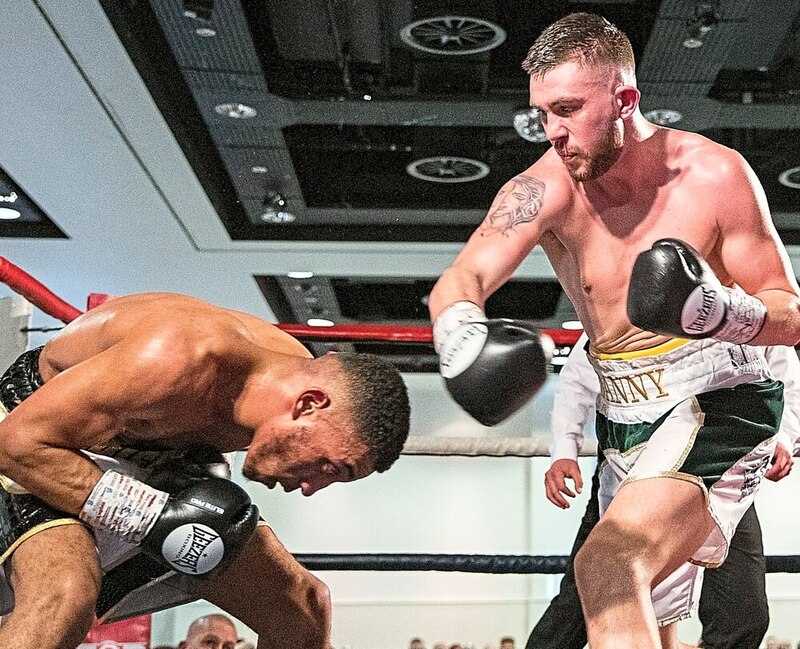 Black Country fighter Danny Ball is desperate for a rematch after taking Midlands Area Welterweight champion Kaisee Benjamin all the way in their battle at the weekend. Ball believes he did enough to win the title fight, which ultimately ended in a stalemate at the Holte Suite at Villa Park on Saturday night, writes Arbaz Saadat. The bout ended in a draw on points, with Kingswinford’s Ball growing into the fight after a slow start. And he believes he landed enough punches to edge the champion in the later rounds. The 22-year-old is known for his fast footwork and a high workrate which helped him come back in to the fight and felt he was just getting into the groove as the fight reached its climax. “My fitness, strength; it was all still there, I feel I did enough,” Ball said after the fight. Ball is now desperate for a rematch, adding “I have learned loads in this fight and I want a rematch now. He was very confident in despatching the title holder in a rematch as he vowed: “It won’t go 10 rounds next time”. Elsewhere, there was another draw as Dudley’s Les Byfield was held by Uzzy Ahmed, from Derbyshire. The contest ended 38-38.